The publication and series of programs Collated & Perfect tracks the changing standards that collectors, institutions, and scholars have used to describe and evaluate early printed books. Doing so reveals why the books take the often surprising forms they do today. It is a collaboration between Yale University’s Beinecke Rare Book and Manuscript Library and The University of Texas at Austin’s Harry Ransom Center. From January 18 to April 21, 2019, the Beinecke will feature a display by Kathryn James, Early Modern and Osborn Curator, as part of its larger Bibliomania exhibition. 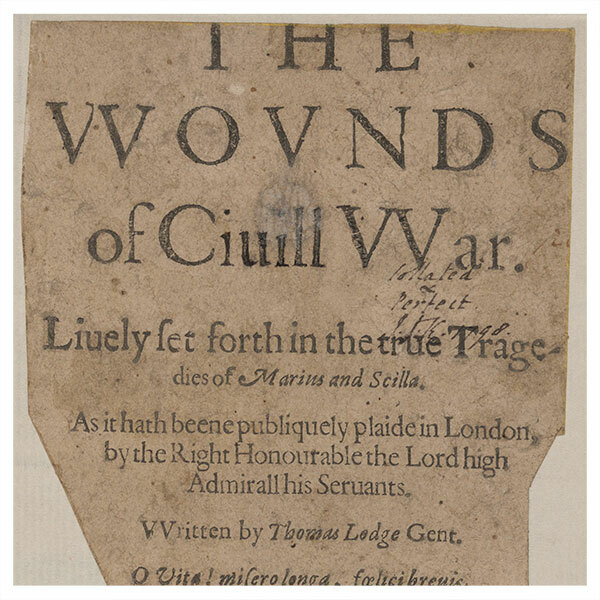 And from February 16 to August 11, the Ransom Center’s Stories to Tell exhibition will include one by Aaron T. Pratt, the Ransom Center’s Carl and Lily Pforzheimer Curator of Early Books and Manuscripts. Roundtable discussion with curators James and Pratt alongside Professors David Scott Kastan (Yale) and Peter Stallybrass (Penn). Panel of presentations followed by discussion. Dr. Megan Heffernan (DePaul) will join James and Pratt to present original research. Curators James and Pratt have co-written the pamphlet Collated & Perfect. The Beinecke and Ransom Center have made it freely available as a limited print run, online, and as a downloadable PDF. Pratt oversees research, access, and interpretation of the Ransom Center’s pre-1700 books and manuscripts. He holds a Ph.D. in English from Yale University, with specializations in the literature and culture of the sixteenth and seventeenth centuries, bibliography, and the history of the book. From The Book Collector, London: an excellent and fascinating piece of work. If anything it’s too short. May we suggest a lengthier version would satisfy our appetites?